The Tigers have placed Michael Fulmer (elbow) on the 60-day injured list. 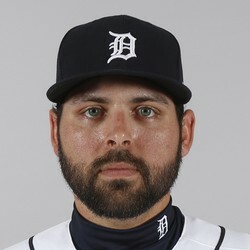 Fulmer underwent Tommy John surgery last week and is expected to miss the entire 2019 season plus the beginning of 2020. The 26-year-old hasn't been effective in recent seasons as he was when he won the Rookie of the Year award in 2016, but he would've been one of Detroit's best trade chips this summer.